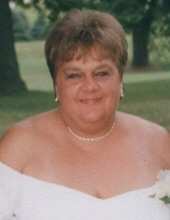 Karen “Mimi” Feldmann, age 65, of Elkhart Lake, passed away peacefully surrounded by her loving family on Saturday (January 12th, 2019). She was born in Sheboygan County on October 30th, 1953 to the late Joseph and Elaine (Vogel) Lisowe. Karen attended Elkhart Lake High School where she met the love of her life and husband. She graduated in 1972. Karen and Jeff were united in marriage on June 28th, 1975. They raised their family in Elkhart Lake. Karen worked for K.W. Muth, Bemis MFG, and the Elkhart Lake school district before retiring. Karen loved kids and was known as Grandma Candy. She enjoyed spending time with her grandchildren and watching them play sports, concerts and all their extra activities. She would have done anything for her boys and her grandkids. Karen is survived by her loving husband of 43 years, Jeff; two sons: Ryan (Corynn) of Glenbeulah and their children: Ella and Brody and Derek (Gina) of Kiel and their children: Kenley and Kyler. Karen is further survived by: Sisters: Bonnie (Donald) Neuhaus of Kiel, Pat (Gary) Laack of Townsend, Rosanne (Ed) Coffeen of Kiel, Jody Seehaver of Manitowoc, Tammy (Gary) Gutschow of Plymouth, and Linette (Dan) Kissinger of Kiel, brother; Scott (Tammy) Lisowe of Kiel and brother- in- law: Steve Rautmann of Plymouth. Mother- in- law: Viola Feldmann of Elkhart Lake; Brother- in- law: Gary Feldmann of Forest Lake Minn.; Sister- in- law: Sharon Golbach of Glenbeulah; Brother- in- law: Randy (Reen) of Kiel. Also, survived by numerus nieces, nephews, relatives and friends. Karen was preceded in death by: her parents: Joseph and Elaine, Father- in- law: Leroy Feldmann, Brother: Randy Lisowe, Sister: Beverly Rautmann and brother- in- law: Larry Seehaver. Following Karen’s wishes, cremation has taken place and a memorial service will be held on Saturday afternoon (January 19, 2019) at 2 P.M., at the Suchon Funeral Home in Plymouth. Rev. Deborah Tyler, Pastor of Community United Church of Christ in Elkhart Lake will officiate. Visitation will be held on SATURDAY morning from 11 A.M. until the time of services. In lieu of flowers, a memorial fund is being established in Karen’s name. The family would like to extend their deepest gratitude towards the Elkhart Lake First Responder Unit, Elkhart Lake Police Department, Elkhart Lake Fire Dept, Orange Cross Ambulance Service, and the dedicated ER and ICU staff at St. Agnes Hospital. Your compassion shown towards Mom and the family was second to none. To send flowers or a remembrance gift to the family of Karen Feldmann, please visit our Tribute Store. "Email Address" would like to share the life celebration of Karen Feldmann. Click on the "link" to go to share a favorite memory or leave a condolence message for the family.